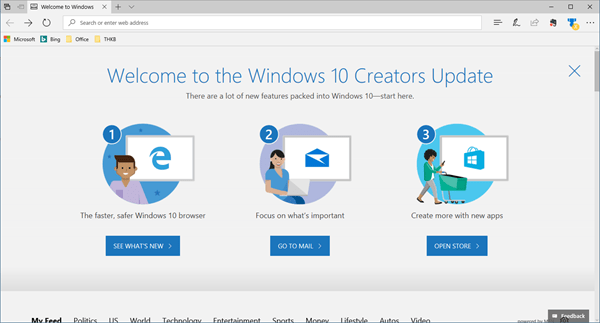 Microsoft released the Windows 10 Creators Update on April 11, 2017. As exciting as that seems, it may be equally perplexing. 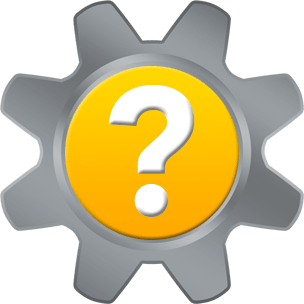 If you woke up on April 12 still running the previous Windows 10 Anniversary Update, it becomes kind of a head-scratcher. Either you’re losing your tech savviness, or something else is afoot. 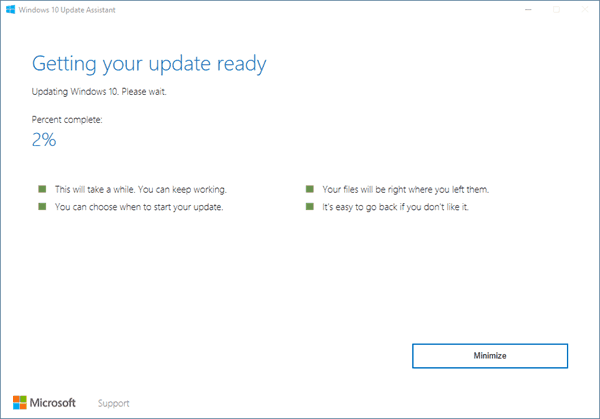 It turns out that Microsoft is rolling out the update using a phased approach. That does not mean you can’t upgrade to Windows 10 Creators Update immediately if you are so inclined. If that’s you, grab a cold beverage and follow the steps below. 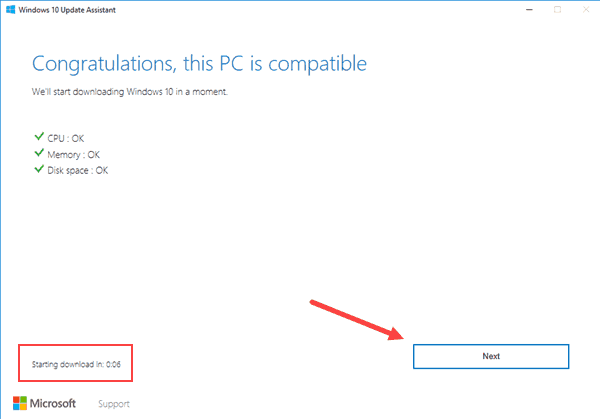 Visit Microsoft’s Windows 10 software download page. 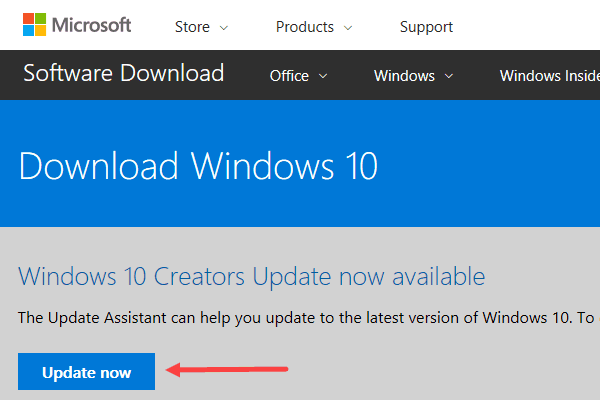 Start by clicking the Update now button to download the Update Assistant. Update Assistant is a wizard that will guide you through the Windows 10 Creators Update download and installation process. If you encounter User Account Control (UAC), click Yes to continue. 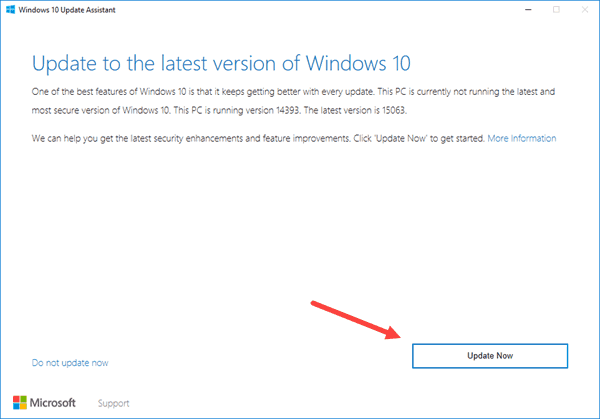 Update Assistant will check your PC to see if it is running the latest Windows 10 version. If an update is available, click the Update Now button. Next, Windows 10 Update Assistant will check your PC to ensure it is compatible with Windows 10 Creators Update. If your PC is compatible, click Next to continue. 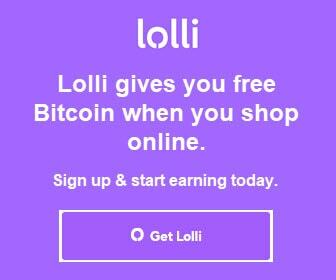 The download may also begin if the timer counts down to zero before you click the Next button. 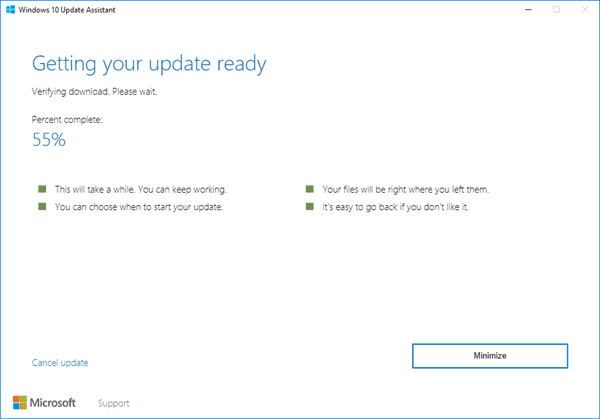 Windows 10 Update Assistant will first download the Creators Update, then verify the download. The download and verification process can take some time, so be patient. The percent complete will continuously display so you can check the progress. Upon successful completion of the download and verification, Windows 10 Creators Update will install. The installation will take time, and a percent complete displays so you can gauge how long it might take. 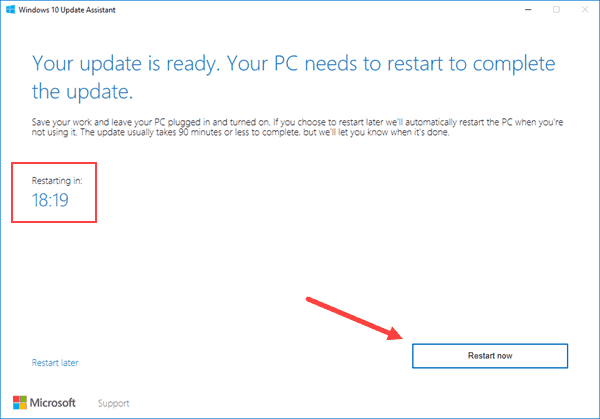 After Windows 10 Creators Update installs, your PC needs to restart to finish the update. A 30-minute countdown to restart will begin, or click the Restart now button to restart your PC right away. Windows 10 will sign you out, and reboot your PC when you click the Close button. Your PC will restart. A percent complete will display while your PC works on the update. Refill cold beverage. Congratulations! Your PC is now running the Windows 10 Creators Update. After your PC reboots, some key privacy settings display. 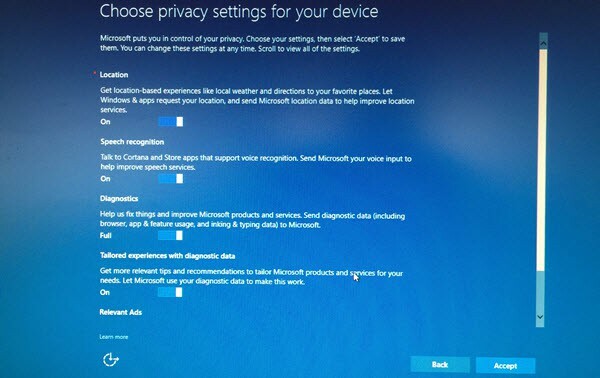 Observe that each privacy setting is set to the values you had already configured for Windows 10. Read each privacy setting carefully, and decide if you would prefer to modify them. Once you have configured privacy settings, click Accept. Next, choose if you want to use Cortana. After you make your privacy and Cortana selections, your PC will make some final preparations before you can actually get back to work. When Microsoft Edge loads and presents the Welcome to the Windows 10 Creators Update page, you’ll know you’ve arrived. Thank you for visiting Tech Help Knowledgebase to learn how to upgrade to Windows 10 Creators Update immediately.